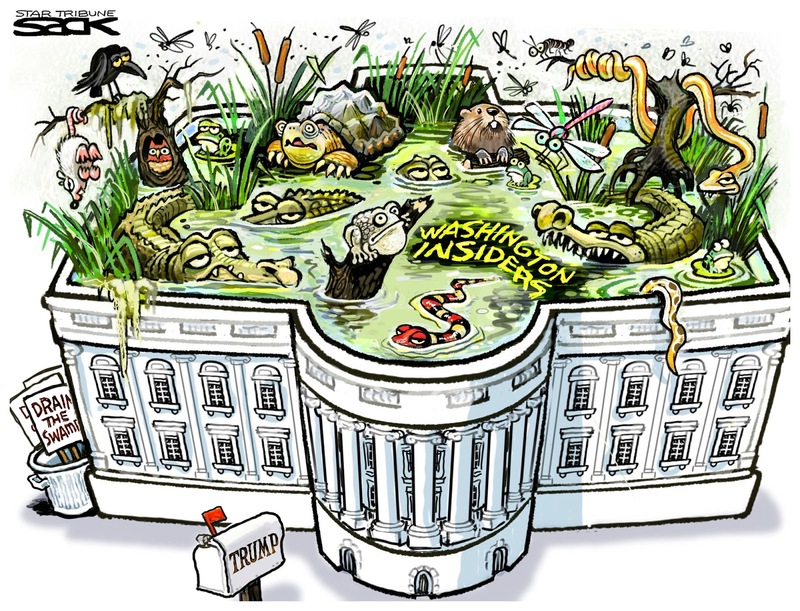 It's not easy keeping the swamp full in Washington DC these days. Between Trump's mercurial moods - your fired! - and ethics violations catching up to some of his swamp creatures, it's been a challenge for our Liar-In-Chief. 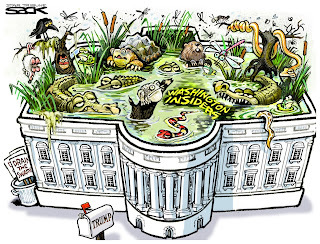 The latest addition to the swamp comes fully vetted by Trump himself. By placing Fred Fleitz as Chief of Staff of the National Security Council, he's assured his base that Muslims will be treated badly in America, and elsewhere in the world. He belongs to a group that propagates conspiracy theories like radical Muslims are infiltrating our government. By appointing him, the White House continues to be the nation's central organizing body for white supremacists. No doubt Trump thinks he's got the right man because he's a fellow conspiracist; promoting hate through his books and through his leadership in fringe groups. In other words, he fits all the requirements to keep Trump's swamp fully stocked.